We use a service by Google to find the position on the map for an address. This process is called "geocoding" and it's very similar to what happens if you type in an address on Google Maps. You could try changing or simplifying the address for the company and click save. 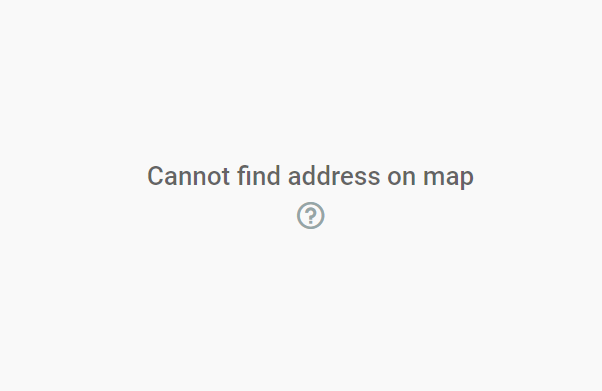 If the address is recognized, you will see the map appear. Sometimes it helps to try to find the address on Google Maps. Are there consequences when the address is not found? The geolocation of the company is used in several ways, for instance to display a map in the mobile app and in the exclusivity check. You won't be able to make full use of these features if you don't have your addresses mapped correctly. In the past, we dealt differently with addresses that could not be found on the map. Instead of not displaying the map, a marker was shown in the center of the country.